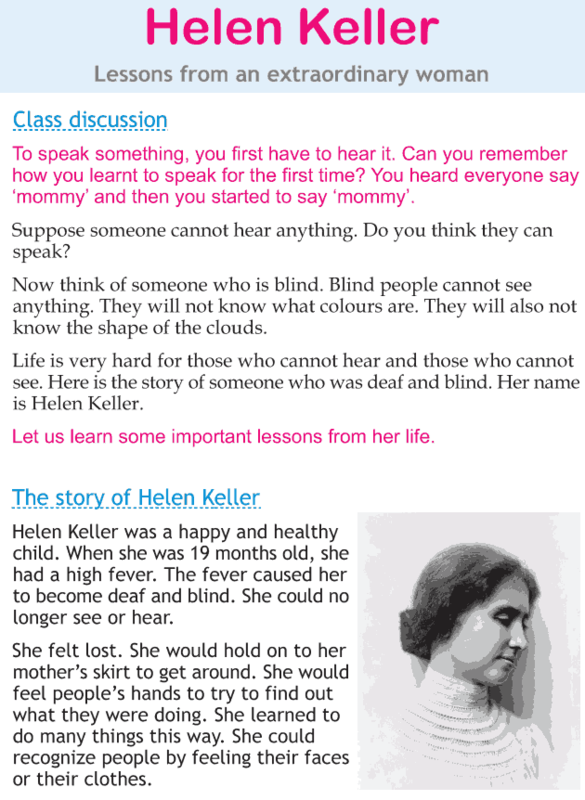 Let’s read an inspiring story about a blind and a deaf girl, Helen Keller. She has taught everyone that nothing is impossible. Despite the disabilities, Helen Keller was always positive. Hence she teaches us to never lose hope and always work hard to achieve success. This lesson also tells us to be thankful for every little things in our life. It helps us be grateful for all the things.